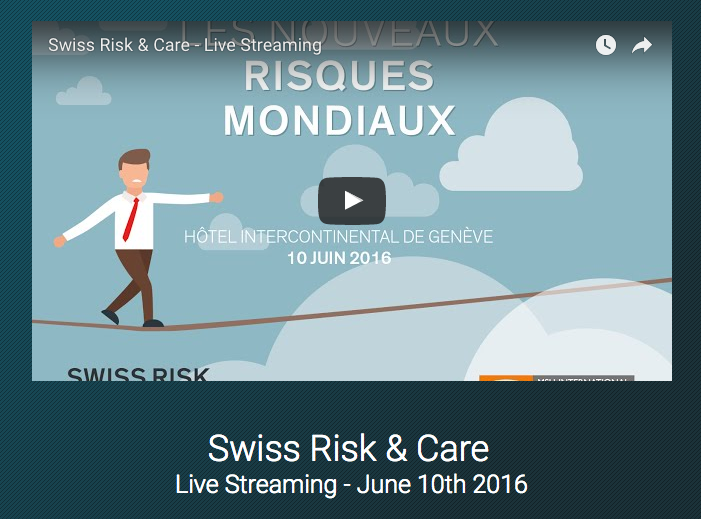 On June, 10th, Swiss Risk & Care held a conference about the new global risks at the Intercontinental Geneva. This conference – live streamed by globalvision – gathered some personalities such as Bernard Kouchner, Ingrid Betancourt, or Martine Laroche-Joubert. Each year, globalvision produces many live streams for companies, international schools and international organizations (see references). The streaming is entirely customizable according to the client’s needs. It can be shared in private or publicly on Youtube Live or embed on a website. Contact globalvision to schedule your next streaming.